I'm hoping you can see from the pictures that it's blue and white striped, which perhaps explained why I was so quick to buy it. 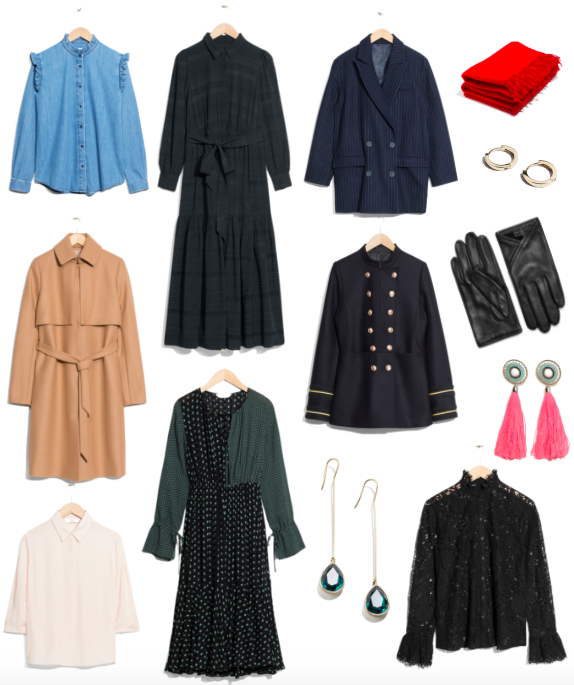 And Other Stories are one of few stores that I get the emails from (newsletters drive me crazy) and every week without fail I end up cooing over something from them, below are a few things I'm currently eyeing up. If you haven't shopped with them before, think of them as a combination of COS and Anthropologie. Scandi designed, with a bit of a hippie vibe at times. Prices are really good, they've gone up a little recently but the quality hasn't decreased which it feels like it has with all of their competitors. As a tip, their footwear in particular is great as it's designed by the old Acne team. I swear by their silk shirts (exactly the same fit as Equipment, I've got both and have put them together and can't tell the difference) and they're also really, really good at the whole boho maxi dress thing, like this one. Ooh and don't rule them out for workwear because their tailoring is good. I've got my eye on this matching pinstripe skirt and blazer. Also need to give a big shout out to L.K.Bennett who gave me these flats. I had wanted them ever since their press day and knew they'd be the perfect fit. As someone with little (size 3.5), sore-easily feet I have to say that these are a little bit brilliant. I can wear them all day long and they haven't rubbed at all - not even on day 1! I've sprayed the velvet with normal "care spray" I got from my local dry cleaner and when they got all wet they dried like new! If you're not so keen on flats then we can't be friends they do them with a 2.5 inch heel, here.